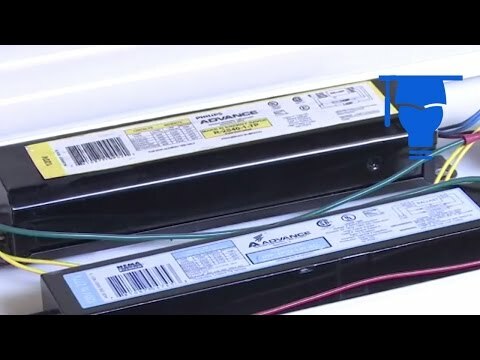 Philips Advance SmartMate Electronic fluorescent ballast is suitable to use with one 40-Watt FT40W/2G11 lamp. It has voltage rating of 120 - 277-Volt AC and input current rating of 0.14 - 0.33-Amp. 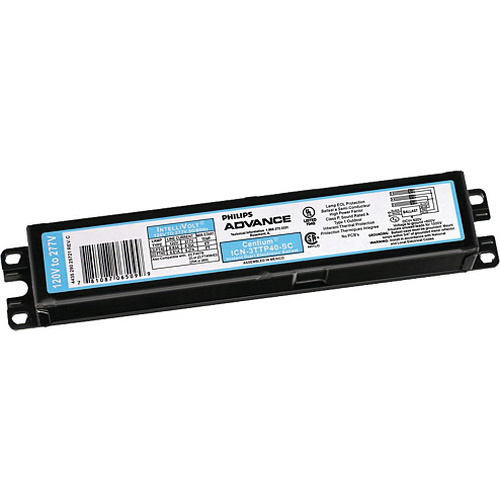 Instant ballast with 0.9 ballast factor, offers 0.98 power factor. It accommodates wire of size 18-AWG. Ballast has parallel lamp connection. It operates at the frequency rating of 50/60-Hz. It is ideal for outdoor use. Ballast has a dimension of 9.5-Inch x 1.7-Inch x 1.18-Inch. It features metal housing to ensure long lasting durability. Ballast has nominal power rating of 38 - 39-Watt. It has a case temperature rating of 70 deg C. Ballast is UL listed, CSA/CEC/FCC certified and RoHS compliant.